2018, The Year You Say Yes to YOUR Health! When you're pregnant, people always tell you it's going to be different - you won't (fill in the blank) anymore. 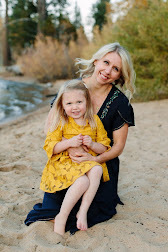 I was naive and then I become a mom and I understood. When you become a mom your old self-dies and you’re left to navigate this new life. Honestly, there's nothing you can do to prepare yourself for that feeling. Trust, me it doesn't matter how many books you read (for the record I read zero). Those first 6 months you're in a fog and you're just trying to keep everyone alive. You'll see your single friends and kidless friends doing fun things and you'll feel like you're missing out. Once you get a grip you'll start to venture out and figure out what this new life means to you. But here's the thing you have to find time for you too. That's why it's ok to say yes to yourself. When you feel like your best self then you'll be the best wife, mom and friend you can be. It took me awhile to learn how to say yes to myself, but I did and I’m happier for it. In 2017, I learned it was ok to say yes to myself. I said yes to Crossfit and counting Macros. For me my health is important. It wasn't about how I looked physically, but how I felt inside and out. For me working out is a huge stress reliever. When I started counting Macros I didn't realize the impact it would have on my life. While there was a physical change there was an even bigger mental change. Again this has made me a better wife, mom, and friend. For 2018, the plan is to say Yes to fitness, healthy eats, and fun because life is also about balance. In 2017, I was so focused on food and fitness I almost forgot to have fun along the way. I'm serious. I schedule my workouts into my daily calendar. Why? Because if I don't then they won't happen. After a few weeks of making it happen, it will become a habit and you'll crave that time. The best way to stay on track with food is to plan your meals out ahead of time. Every Sunday I plan out 4-5 dishes. I make sure to make enough to have leftovers. Then every night I plan out the next day using the MyFitnessPal app. I do this so I know what I need to eat to hit my macros. 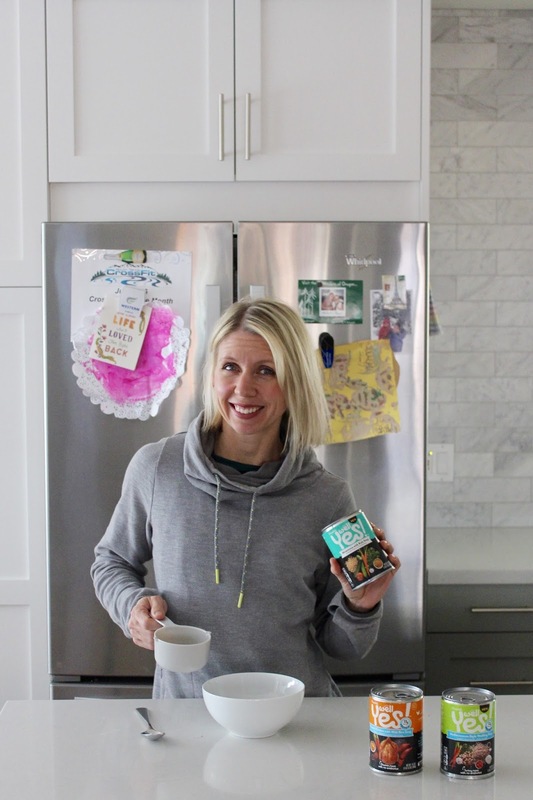 Brand promise: Well Yes!® Soup(s) help women say yes to deliciously crafted food, with real nutritious ingredients, so she has what she needs to say yes in the rest of her life. Well Yes!® Soup(s) are crafted with care. We choose real nutritious ingredients to create delicious soups, without compromising on flavor. So say yes to the good stuff so you have what you need to say yes in the rest of your life. Life isn't perfect and neither is health and wellness. There are days I slip up, but instead of letting it derail me I just focus and reset during the next meal or day. As long as you are consistent the occasional slip up isn't going to hurt you. Personally I have a few. I'm a part of a monthly moms dinner club. This is great for my mental health. Then there’s the group of crossfit like-minded moms I sweat it out with, share healthy dishes with, etc. They keep me coming back for more. You're not being selfish. Trust me. Food among other things makes me happy. Personally, when it comes to food I count macros because I'm able to eat foods I want to eat while achieving my goals. Yup, whether it's salads, chocolate or Well Yes!® Soup(s) with grilled cheese it's all fair game! Well Yes!® is a line of soups made with nutritious ingredients, like chicken meat with no antibiotics, sweet potatoes, kale, and quinoa. Sounds like a Soup in the Right Direction®, and I can get on board with that. Especially during winter months and as a mom on-the-go. I know I can enjoy a cup of Roasted Chicken Wild Rice Soup, Minestrone with Kale Soup or Mediterranean-Style Wedding Soup with a toast, crackers, grilled cheese or a side salad without blowing my macros. That's winning in my book. See how others are saying YES in 2018! Ok, enough about me. How are you saying YES in 2018? Psst.... Don’t forget to enter the #WellYes2018 Sweepstakes in the widget below for a chance to win up to a $500 Visa gift card! It's as easy as clicking, logging in, and sharing your Moment of Yes story! If you win, think of all the ways you can use the prizing to achieve your Moment of Yes! Or download up to $1.00 off coupon HERE.